If you like this free game, try Chronicles of Albian 2. The Fairy Godmother, Gwendolyn, has called on you to help prepare for the official Convention of Magic Masters being held at her home, Albian Castle, in only a few weeks time. Wizards and sorcerers of the world descend upon Albian for the magical convention of a lifetime, and it's up to you to get the castle ready in time. Search for hidden treasures among the many rooms to help finance the required repairs and upgrades to the castle grounds. 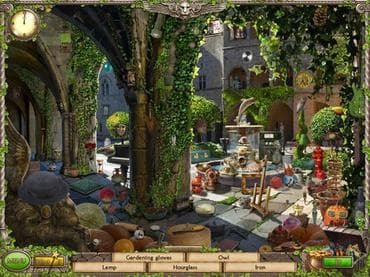 Free Game features: - Seek and find thousands of items throughout a beautiful medieval castle; - Solve more than 80 unique puzzles throughout your adventure; - Meet a quirky cast of magicians arriving for the convention; - Enjoy a sweeping instrumental fantasy-inspired soundtrack; - Unlock more than 20 stunning wallpapers for your desktop. If you have questions about Chronicles of Albian game, please contact us using this form.